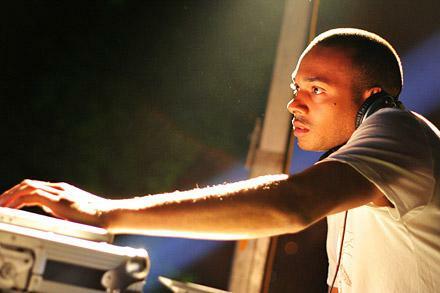 He’s been Dizzee Rascal’s tour DJ and was a founding member of the Roll Deep crew. Now DJ Wonder is about to drop his debut solo album. We asked him about that, his background and loads more. Yo, my name’s DJ Wonder. Producer and DJ. Where in the UK are you and how healthy do you rate the scene right now? I’m from London, E2. I think our music scene is very healthy at the moment. There is so much new talent coming through, and most of it is without a major record label behind them. How long have you been involved in the music industry and how did you first get started? I have been DJing for about 5 years now and producing for about 3 and a half. I first got started in music when I was at college and my lesson was cancelled. I went back to my friends house and just started messing about on his decks. I was on them for about 9 hours. My Production career began a couple of years later when I bought my first Mac. What are some of the key records and artists which have proved an inspiration or influence over what you do? The biggest one would have to be Bob Marley and how he took reggae music worldwide. Faithless and Prodigy have a big influence over what I do. Their style of music and the way they perform live. Also Dizzee Rascal. What he has achieved has been a big inspiration. Can you give us a run down of the main releases you’ve been involved in over the year? Last year I didn’t release that much due to working on my album. The main stuff that got released was a few remixes that I done. Prodigy’s ‘Voodoo People’, ‘Stacs Of Stamina’, Roll and Lady Sovereign’s ‘Little Bit Of Shh’. Everyone has their own pigeon hole for their music. What genre do you class the material you make to be in? My music has been placed in grime and dubstep. I just like to call it music. Do you think down the line, there’ll be less distinction between Dubstep and Grime flavoured sounds? Yes I do. I hear some dubstep DJs play grime and some grime DJs play dubstep and because there are so many types of grime and dubstep, I think that it will always be crossing over. Does your DJ background give you an advantage when you’re cooking a beat? Yes definitely. Being a DJ, you know what the crowd wants. Any time I’m making a beat, I always have the thought of it being played by a DJ in the back of my head. I use a G5 Mac, Logic 7, Ableton, Reason 3, a Virus, samples and a few plugins. Anyone starting out, I would recommend the first thing they get is an Apple Mac. Even on a budget you can still pick up one quite cheap. Also, maybe Reason. Do you tend to sit down with a vocalist and make a beat at the time, or do you lock yourself away and store up tunes? I usually store up the tunes and then let the artist hear them or sometimes I have a particular artist in my mind who I think would suit the track. 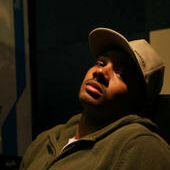 But one of my next projects is to sit with an artist and make a whole album, working side by side. How long has your new album been in the making and what can people expect? It’s taken nearly a year, but that was mainly because I was working with quite a lot of vocalists and so I had to work within their schedule as well as mine, which wasn’t bad ‘cause the results were good. What you can expect to hear is basically in the title, ‘Welcome To Wonderland’. You will get to hear my sound and it’s kinda like a journey from the beginning of my production career to now. It’s got the second track I ever produced which was with Gods Gift, then it goes into tracks like ‘What Have You Done’ through to my most recent stuff. How did you hook up with some of the guest artists on there, and who’s left on your wish list of collaborations? A few of the artists were recommended to me, like Sway was recommend by Semtex. Then Sway recommend Mr Hudson. Most of the artists I had heard of before and wanted to work with them, so I got in contact. I wouldn’t mind doing a track with Maxee from Faithless or M.I.A. Do you have any particular goal or ambition with this in terms of sales success and exposure? My goal is just to get my music heard by as many people as I can, whether it’s done by sales or any other way. How does it feel to finally have an LP out after all those years of DJing and putting out sporadic records? It feels good to put out something that you have worked so hard on putting together. It’s kind of moving a step up in your career when you move to creating a album, as opposed to putting out a single. Do you feel a sense of achieving a full circle, from being Dizzee Rascal’s tour support to now a name very much in your own right? Yeah kind of, but I still feel like I am only a quarter of where I would like to be at in my career. Looking back at the touring with Rascal, and indeed your time in Roll Deep, what are some of your fondest memories? Touring with Dizzee, my fondest memories would be walking on stage to do my set and have people shout out my name. To be in another country and have people doing it. That was heavy. And plus, the whole experience, the tour bus, playing to thousands of people. My memories in Roll Deep would have to be the radio shows. We would be doing radio 7 days a week. One time we even did 3 shows in a day. Do you think there’ll be a time when you’ll work with those people on future projects? Certain people I can definitely say no, but as for the rest, who knows what the future holds? To round this up, drop us the LP’s release date and some live events we can catch you at. Have you got any shout outs you’d like to throw out there? Shout out to everyone who’s supporting, out to Dumpvalve, Rinse FM, Ammunition.